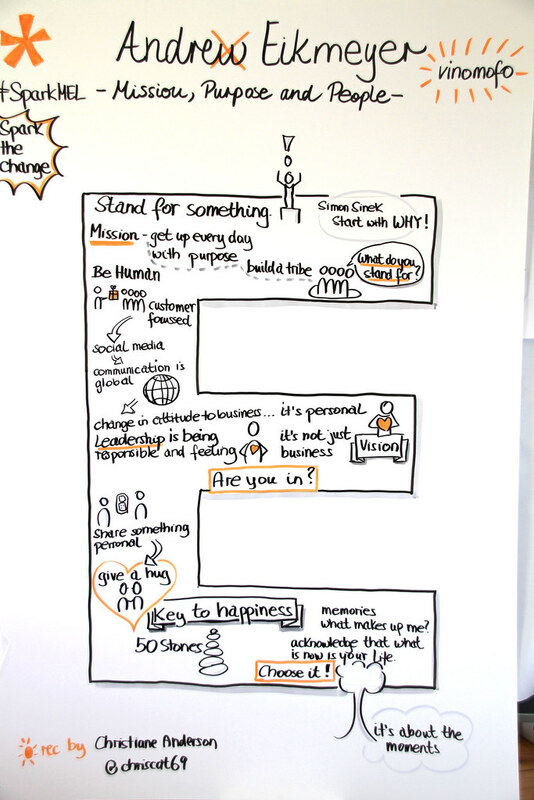 I uploaded the graphic recordings of the Spark the Change conference in Melbourne. It was a wonderful day where we learnt a lot. Those thirteen graphic recordings are a combined effort of Donna McGrath, Christiane Anderson and me over the full day of the conference. Each letter is one fabulous talk by a stunning speaker. It was a pleasure to record those talks. I hope the recordings help to remember and make the things you learnt stick! If you like to download high resolution JPGs just download them from flickr directly. I would appreciate if you spread the word about Donna’s, Christiane’s and my work if using the pictures on a different platform. In addition, those drawings are not rocket science! Everyone can learn it! Please check out my bikablo® visual facilitation trainings and join in at one of the next trainings. And here is the video to get a feeling for a one day graphic recording gig.